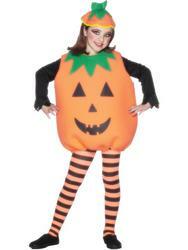 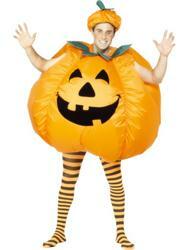 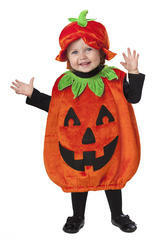 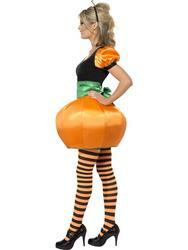 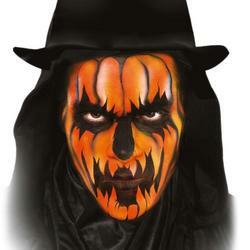 People will think your simply delicious when you're wearing this fabulous Halloween pumpkin fancy dress costume, a more alluring alternative to the traditional Halloween pumpkin costume. 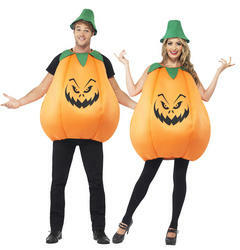 The chic costume comprises of a black and orange top, an orange puffed out skirt giving the illusion that you are wearing a pumpkin and completing the look is a green cummerbund. 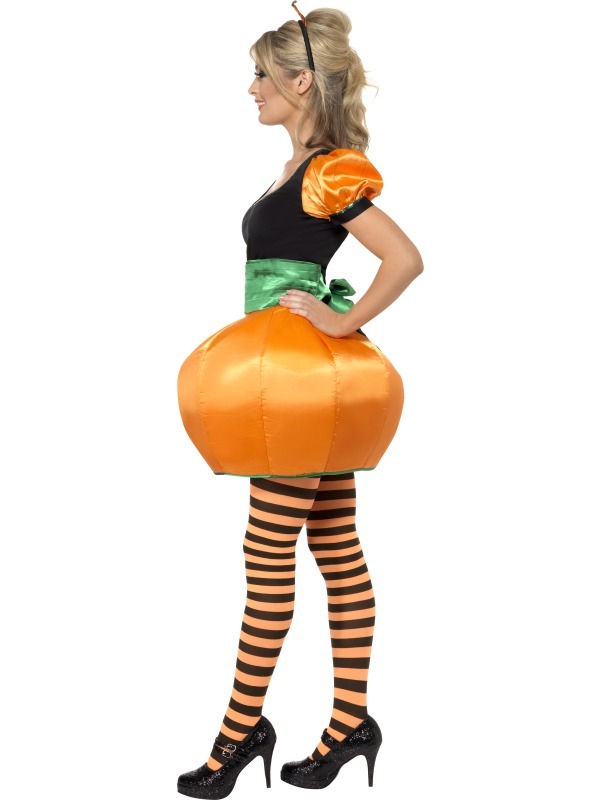 Great for making a big impression at any Halloween party, looking this tasty you'll have to make sure people dont try to make you into a pie!